What would you do if you were told that the shadows needed to be fed and it was up to you to do so? What would you do if you were told you had to choose someone to disappear forever or lose someone close to you? Could you do it? That is what happens to four classmates in the small town of Shadow Pines. This book chronicles the first 9 months of their possession of the shadow boxes. An interesting and unique tale, the story line is quite unlike any that I've ever read before. Yes, we've all read stories that dealt with consequences of our behavior, but this is truly out of their hands and the story reaches into each characters life and they are bared to you in ways that strips their armor away and lets you see the real them, with their strengths and weaknesses. Four people, who before it all would have barely acknowledged each others existence, now relying on one another for guidance. The author really took her time to craft each one of the characters persona's. As I read and got to know each one, I could feel the characters coming to life. I could see them, feel them, understand them and it soon started to feel like it wasn't a group of four, but of five, adding the reader to the mix. I didn't feel like a fly on the wall, seeing and hearing everything, but I felt like I was standing right there with them. Having said that, I do feel that the author slacked off on a few people in the book that needed a bit more polishing, ie Gianna and Ava-Kaya. The book seemed a bit rough in the last few pages. Not just questions left unanswered, which is going to happen since this is designated as not a standalone, but the first with more to come, but it seemed that the author was trying to feed a bit more info that just didn't feel right at the time. I'm sure it was meant to gear the reader up for the next book, but it wasn't really needed and didn't need to be added and instead took away from the satisfied and curious feelings that I was having. Any reader who is interested in mystery and the paranormal will find themselves enjoying this book. Age wise, it's good for teens and adults alike. There are some shady characters in it, but nothing the parent of a teen would find inappropriate. The mystery really grabs at the reader throughout the book. There's so many layers of cover ups and lies going on that I can't wait to read the next book in the series and see what comes to light and see exactly what's going on with certain characters and what is driving them to do what they are doing. Can this curse be broken? Will people come back? If they come back, will they know what happened to them? Will they be normal? Is it all a lie? Are they trapped in this town? What do the towns adults know? So many questions! Honestly, Zest Books has never let me down and finishing out my part of this tour, I can say that they are truly a diverse publishing group. You may wonder just how much info you can get in a book about 50 different icons in history and I'm here to tell you it's a lot more than you would think. The author expertly touches on various aspects of each person, including trivia bits that can be used in conversation with others who have the same interests. Any person who has an interest in iconic figures in history would find this book right up their alley. An issue with the book though, is the small font throughout the book. This is a limitation for those with vision issues. A bigger font would bring in more readers. Yes, this would make for a larger book, but even if the book doubled in size, it would be very manageable. My reading glasses got a work out with this one, but I survived. The story in this book isn't what I thought it was going to be. The cover and the synopsis had me thinking much more along a spooky story, which is not what this book is. This book covers a girl, her choices, possible outcomes and the chance to make everything right. As a novella, there's a lot that goes in to this story. I could feel the pain of a troubled friendship, the internal turmoil caused by the loss of a sibling years earlier and the push and pull of peer pressure. Trisha is quite the normal teenager, except that her long dead twin sister has suddenly started appearing to her. As a mother of twin teenage girls, stories like this really feel like a hit in the gut. A paranormal take on how some situations could be manipulated by outside forces. It really makes you think. How many times have we heard a person say how someone close to them must have been watching over them to keep them out of harms way? Simple things like, if I had gone straight to the store as planned instead of missing the turn, that could have been me in the car accident. If I had missed my flight, I would have been on the plane that crashed. An interesting story that works well for the young adult audience of any age. It touches on the dangers of alcohol and watching out for the smooth talkers that have only one thing on their mind. This story has many lessons in it that come to fruition at the end and wraps everything up nicely. When I first read the synopsis of this book, I have to admit I got some déjà vu from other books that I’ve read. As I started reading it though, I noticed a distinct difference. Where others felt it was necessary to glam up the supernatural beings, the surroundings, the other dimension, etc, the author chose just the opposite. Sofia is in many ways your typical teen of a single mother. She works extra hard to keep up with her grades, so she can get in any school she wants, she has a job which is to set money aside for college, she has a boyfriend who is just like her and keeps her grounded as she does him. It was nice to get to know the characters as they are and slowly start to see where they will be going. The magical, supernatural parts of this book are pretty subdued, until the end. Just as Sofia starts to slowly learn more, the ones, Angel and Ar’ch (which I love how it’s spelled), slowly start seeing their powers strengthen and the giddiness of learning what they can start to do with them. The descriptions are not overly done but give you just the right amount of information to set the scene and let your imagination fill in the blanks. The bond between the brothers felt genuine and had me thinking of some brothers that I know now that in ways act just like the two of them, minus the supernatural element. I quickly felt fond of Angel but even up to the end, I wasn’t so sure about Ar’ch. One moment his intentions are clear, the next they made me wonder. Through it all, they kept one another in check; well Angel kept Ar’ch more in check because he needed it more. Their relationship never felt like a competition though, so the story was able to flow along without those hurdles. Sofia and Rafe. Two teens who have known each other pretty much all their life, who found it fairly easy to transform into dating one another, but in some sense, things were just too cookie cutter. Rafe seemed more on the desperate side than Sofia and also had more illusions than she did of them. I could feel the tension within Sofia and well, I just really wanted her to push Rafe out of his comfort zone and let her experience some of things she wanted to. I have a feeling there will be things learned in the next books that will explain why things were so chaste. As I was reading this book, I found myself getting irritated by the usage of a certain word. In the first 29 pages, this uncommon word was used 3 times, and then thankfully was dropped only two more times the rest of the book. No, I’m not going to point out which word, but I will say that it personally distracted me, but it may have no effect on the next reader. This, along with some choppy dialogue and some character reactions that came across as hollow and/or off the mark, are really my only issues with this book. Oh, and I would have liked to learn more about Damiana in this book. There’s no way that the next books won’t give all the information needed, but a bit more in this first one would have been good. There’s so much that’s said in this book while you know there’s so much more not said and if other readers are like me, theories are running around in our heads on the who’s, what’s an why’s. I feel that this book would be a good choice for all age of readers of subdued fantasy. I think those that read the extreme fantasy novels might find this book too low key for them. This is also a great starter book for anyone looking at trying the fantasy genre for the first time. Personally, I’m not a big fantasy reader and I thoroughly enjoyed this book and look forward to reading the others in this series. This book is a no holds back debunk of just about everything but the kitchen sink. The author touches on everything from evolution, to AIDS, to climate change, etc. I actually learned quite a few things about how screwed up some high level doctors and leaders are and how their actions or inaction's have created catastrophic outcomes. Packaging of the book itself isn't up to par. The cover combined with the font makes it look like a cheap knock off instead of a professionally published book. This is turn makes for one to think of conspiracy theorists instead of a man who really has his act together and quite a bit of knowledge to share. I beg the publisher to do the author justice and produce a package worthy of the product being offered. If I was perusing the shelves and came across this, honestly, I would just keep on going. The publisher states that this book is for ages 14+ and parts of me agree with that while other parts of me don't. It just feels like a good debatable read that the younger crowd would not get the gist of. While reading it, I felt like I was sitting there with the author and having a full out discussion with him. He calls out the bull and trumps it with facts. This book brings up things in the past. but not in an old fashioned way while also bringing to the forefront the current events and activities of our world like one's well read uncle would. The author tackles some theories that right now have people on opposite sides of one another. This book would make for a great supplementary read in any class that deals with history. This history is not just world history, economic history, religious history but also ecological history. This is where the younger crowd comes in and would have fun with the authors contributions, while in a learning atmosphere. I recommend this book to just about everyone, even those who can't see the grey but only the black and white. I feel that every reader will finish reading this with a minimum of one thing that they didn't know before and a better understanding of why and how things get so blown out of proportion. Wow! What a page turning, heart thumping, keep the lights on no-matter-what story! I was not expecting this when I read the synopsis. I thought it was going to be just your average paranormal YA story but this is on the same lines as my favorite horror writer, Bentley Little. At first I had visions of M. Night Shyamalan's "The Village" but it quickly spanned out to be so much more. The book starts out with the knowledge that things are just not right. The main character, Caitlyn, is heading to her father's to stay for good. Her mother had passed away, ok, murdered. Caitlyn, only a teen, had done a brief stint in rehab (really not as bad as it sounds, you'll get the jist when you read it), her stepmother is about as nice as the one in Cinderella and from the get go, all kinds of crazy starts going down. This story has secrets, magic, ancient Indian demons, and so much more. I love a good horror story and this is right up there on my list of the best. As I read it though, some things did stick out as being red flags left alone. When someone who's been gone for a week and is found bloody, emaciated, throwing up disgusting things and attacking someone out of the blue, you don't expect them to be out and about the very next day. You would expect them to be home, under the care of a parent, doctor or nurse. When you find someone had been looking into your child's window, you wouldn't let them run around the next day at a festival like it never happened. It also struck me as a little on the odd side that with the Redemption going on and with everything that goes with it, that someone would think that something else paranormal is odd. I also am still stumped with the very end of the story. I don't know what I missed, and I'm going to go back and try to figure it out. These are the reasons that this book is not a full 5 star read for me. For lovers of horror, this book is right up their alley. Even with the items that I mentioned above, the story kept a flow to it, the action was pretty non-stop and I didn't want to stop reading. Do not read by just the light of your ereader and do not read on a windy night. You have been warned, now let's see if you listen. An excellent read, and one of my favs so far in 2015. I look forward to reading more from the author, O'Dell Hutchison. It's been a while since a story has grabbed me right from the beginning and kept my attention all the way to the end. A true science fiction ride that brings together technology, aliens, hybrids and so much more. I was captivated by the story, able to picture the characters and scenery as if I was in the story itself and playing like a movie. It ended with a cliffhanger that would satisfy even those that absolutely hate them because a realization was made at the same time. For me, this story had a familiar feel to it. Not a negative, been there, done that feel, but the characters felt like a meld of several different ones from current science fiction culture. I felt a mix of Star-Crossed, Defiance, Alienated and more. The YA genre has come a long way with how it views aliens and given in to the fact that not everything is as it seems. Yes, aliens are still trying to do us in, but not all of them are, some actually have our back quite well. The author has come up with an Earth, far in our future, that has gone through a transition due to wastefulness and a nuclear incident. She describes the climate, the feel of the environment and the catastrophic changes so well. It's a realization that made me wonder just how far we are from starting down the wrong path with the balance of nature or if we have already hit that tipping point. In ways, I felt a sense of mourn for the Earth as we know it. Having read the author bio, she has put her past professions to good use with this novel. She was able to draw from her knowledge the way things could be. She also sensed a good story of the savior aliens swooping in to save us but with an ulterior motive. Her characters are strong, the relationships between all the different sections are diverse and the fact that she made use of the moon shows she has a plan for her story that won't cut things short and shows a layered story that keeps on giving. I recommend this book to all readers of the science fiction genre, no matter how young or old. This is a story that intrigues, makes you think and really grabs hold of your attention. You will see just how creative the characters are and will find yourself wanting to tinker with extra equipment that you have laying around. I look forward to the subsequent novels in this series and can't wait to read more about Helia, Kalo and the rest of the gang. I can't wait to read what the author will be bringing to the table next. Bravo Ms. Neal! You say that you haven't gotten your dream job of being a drummer in a rock band, well, I'm telling you that your creative mind are the sticks and the story is your drum. You have reached that goal and you are a rock star with it. Your screaming fans await the next book in the Starlight Age. Rock on! An interesting and diverse look at the different secret societies and cults in the world. Many I have heard of, but didn't know much about them and many I had never heard of before. Full of facts, quirks and history of the different groups. For the groups that I had heard of before, I was able to get a better understanding of who they are, what they represent and the known ins and outs of them. So many times we hear of these groups in passing or bits of them are picked up and used in movies, tv shows and the such, but we just don't really know too much about them to understand if they are being treated incorrectly. I would like to see this book in a larger binding. This is more of a coffee table type book than a sit down and read through, because it doesn't go into the full history of each group, but does give quite a bit of information to get one through the basic understanding of them. I could honestly see this book sparking many a debate in a social atmosphere when friends are getting together. It's also a great book to give to anyone who has such interests, because it gives the reader enough to go on if they want to do further searching on them. Format wise, I liked the back and white photography throughout the book. Something about B&W creates a more classic look and crisper look. I enjoyed the history and where each are now and further info on each group. I didn't like the pages with all the eyes on them though. They started to bother my own eyes after a bit. I recommend this to just about any reader. Yes, there are some cults that it deals with, but it doesn't get into the nitty gritty of them that may affect one adversely. For the spiritual and religious ones, you don't have spirituality thrown in your face, it grazes over it. A good read for just about everyone. The book is marketed for ages 12+ and I agree with that. An interesting, informative and fun read for the masses. The fun thing about science fiction is that it really pulls in components to stop you once in a while and just make you think. This book is a good example of that. As stated by a character in the book, society's downfall wasn't a war, it was technology. This book, while providing the reader a good story to follow, shows you the meaning and truth behind that statement. The author gives the reader a strong female lead with Yara. You learn quickly about her home environment which helps in giving not only a face to her but also providing the material to visualize how she looks, acts, reacts and thinks. Joshua took a little longer to visualize, because honestly, at first I just didn't connect with him. He had some good attributes starting off, but with his actions and the dialogue, I just found him very vague. The author gives you a story of those who live by the government standards, who hook up to technology to live out their fantasies, hopes and dreams and on the flip side, the rebels who feel that the government has gone too far, taken away too many personal freedoms and who refuse to live with technology the way that the New State demands of its citizens. We learn just how much that the government wants to get rid of the rebels, because they fear how the rebels, aka Undergrounders, can overturn what they have created. 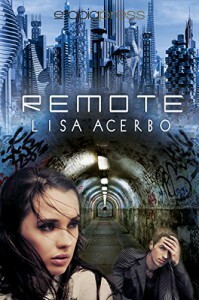 This book touches on many subjects; over the top technology, war, romance between two from opposite sides of the tracks, hope, fear, secrets, etc. Some of it flows, some of it doesn't. Together though, it's strong enough to bring this world to you and take you with it through the currents. I recommend this to readers of science fiction of any age and I also recommend this to those that are open minded to stories other than just contemporary styles. I look forward to reading more from this author and hope that she continues on with this series. Over the past couple of years, I’ve found that my favorite genre is dystopia. I couldn’t be bothered with a romance novel. To my dismay, I found myself loving every moment of this unusual take on love in a world where love itself is a crime. From the very beginning, I found myself captivated with the story of Opel and Aecker. Having been a big reader of dystopia, I know how this genre has swelled over the past few years and has found itself being written into near exhaustion. This author has breathed new life into the genre and taken a unique and fresh approach which is both mesmerizing and completely satisfying. Love is universal, take that away and what happens? This story exams that and more. There are so many layers to this story; loss, hope, betrayal, frustration and so much more. The choices of the characters lead them through many difficult situations. The action and the character reactions kept the story moving along. There were times where the story seemed to have a bit of a lull or feel a bit too much, but the author eventually moved it back into the direction needed before it got to distracting. I recommend this book to all lovers of the dystopia genre, especially those that are looking for something a bit more close to the heart. I look forward to reading further in this series and from the author, herself. Set in the future, after our world has gone through an economic disaster and been rebuilt with a new government and a mandatory type of currency, this book felt more like a realistic fiction piece than a dystopia. The world is basically the same as it was before, but with the difference of everyone needing to be chipped and that's how things are paid for. Like any government, you have those for it, those against it and those that take things as they are without thinking into it. The story and characters the author has presented is some ways parallel that of history. People are enslaved because they are different, being bought and sold like a commodity, stripped of ;basic rights and liberties and made to act a certain way by their owners. This story is told from the POV of a teenage girl, Rielle, on the brink of adulthood, whose parents refused to conform to what they government wanted and in turn the government has torn the family apart. Put into the job as a housekeeper, Rielle does what she is told to do with a small bit of defiance on her own part that carries it's own weight. The reader learns the daily toll of those who are Contracts for the Banker. We also learn secrets along that way that creates a heavy burden on those with them. Each character has his or her own story which comes out in bits and pieces here and there. This was an interesting read. It really made me think about different things. It also drove me a bit crazy because Reille didn't really put up a fight. She put up walls and eventually let certain people in, who helped guide her to the end result, but I felt there should have been more action from her. I recommend this to anyone who likes to read books about where our society could find itself in the future. The way our lives could change due to crooked politicians and government dangling a carrot in our faces at times of major upheaval and the outcomes of that. A very insightful book from a debut author. I look forward to reading more in this series and whatever else the author writes. This story centers around Kalista, aka Kali who is anything but a typical seventeen year old. A beauty, but one with issues, mainly with her knowledge that she isn't like others, that she has a hunger she satisfies by feeding on the energy of others. A man, Rhane, enters the scene mysteriously, and seems to know her, but what he knows is the part of her that she doesn't know exists. This story is pretty fast paced from the beginning. The reader quickly learns that there is a secret that's hidden and that knowledge creates a basis for the reader and allows for the story to emerge without having to give an explanation immediately of why. The vivid details that the author provides brings the characters and story to life. The reader becomes an active member of the book, seeming to be there but as a watcher on the edges of the story. I would have liked a more insight of Rhane. He appears out of nowhere, tracks her down in stalker like fashion, has so many secrets of his own, but is brought into the story without any background and it takes a bit for his character to find his footing without it feeling like a stumble. His moving in and out of the action is almost too stealthy to grasp at the beginning. In turn though, we learn his heartache and why he is suddenly there when Kali needs a hero most and why he doesn't run when things turn south quickly. As the story unfolds, the reader learns of the secrets untold. The author is meticulous on when she lets bits and pieces of the story to the reader, driving the story onward and keeping the reader attached and invested in wanting to know more. 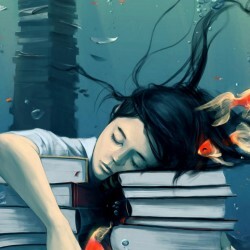 I couldn't stop reading. I didn't want to put this book down and I look forward to reading further books in this series. Anyone who likes paranormal romance mixed with jaw dropping action and hair raising suspense, will find a new addiction with this book. Reading the title I was originally thinking, ugh, not another book about the dead. Than I read the synopsis and couldn't wait to read this, because it was the complete opposite of that. Love, soul mates, and the gods, all wrapped up in one novel. Upon the start of the novel, I was ready to dig in and was ready for an all nighter if it came to that. Unfortunately, it did not grab me as I thought it would. Honestly, wrap the first half of this book into a chapter, or even a prologue and take it from there. That's exactly how long it took before things started happening. Yes, we are introduced to the characters, but not to the point that it really mattered. The character development itself lacked in the beginning, all feeling a bit stiff and with no chemistry between themselves nor with the reader. As a reader, it felt like I was getting nowhere with the story. After that point, things pick up. The prophecy is set in to motion and the action starts up. The Greek mythology comes to the forefront, the theme intensifies and the fight is on. This is where the reader gets glued to the story and doesn't want to let go. So much going on, layers of stories meshed together and the story finds its legs. And of course, you are left with unanswered questions which will bring you wanting to read the next book as soon as possible. A good start to a new series, readers who enjoy Greek mythology will find an interest in this book, along with those who like paranormal romances. I look forward to reading the next book in this series. I just finished reading this book and I'm still trying to wrap my brain around much of it. Set in modern times, a catastrophic event has occurred, leaving the world as we know it in an apocalyptic chain reaction of many incredible and unexplained incidents. From the onset of the major event until a few months afterwards, Tess was holed up in a shelter made by her prepper father. The majority of the book is about her getting to her father, several miles away, with the assistance of a stranger she meets along the way, Cole. I pretty much figured out who Cole was from the start, but the reader never gets a definitive answer on it. There are many other things that are left with loose ends that makes me wonder if there is going to be a followup book to this one. If there isn't, than as a reader, I feel very slighted. Cole is quite the free spirit but he also provides the comic relief needed when times are so tough that you need to lose focus for fear of losing oneself. Tess, while butting heads with Cole most of the time, is every bit the seventeen year old she should be. 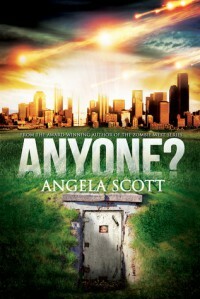 The author provides us a world that 99.9% of the population has disappeared by the time Tess comes out of the shelter. No animals are around other than her cat which she had taken into the shelter with her. There are not even birds to be heard. What has happened to all the people? Where are all the animals? What are the crazy weather patterns being experienced? So many questions with some being answered while others never really touched on. A good book in this day and age where preppers even have their own show, personal faith is being questioned and teens have a more direct say about things that effect them. This book shows the survival skills a person needs to overcome obstacles and that apocalyptic events are not always man made. I recommend this book to anyone who likes a good what if book. I had received a complimentary copy of this book in exchange for an honest review. Doing so does not sway my review in any way. There seems to be a recurring theme lately, those that handle the dead. That's okay with me, as long as there is something different brought to the table, which Ms. Garr has done. 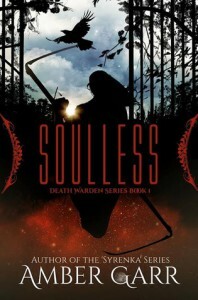 Death Wardens and Soul Hunters. For those that have not read this book, they sound pretty much like one another, but with different names. That couldn't be further from the truth. Nora, a Death Warden who's advisor, ie teacher, went from friend and lover to the enemy, a Soul Hunter. Add mystery and conspiracy on top of that and wrap it all up in Soulless. This book finds Nora in a tough situation. Basically betrayed by someone she loved, she is now dealing with him stealing her charges, ie her jobs. Reading this, it was quite evident at the time of him telling Nora that he was leaving and wanted her to join, that there was an alternative motive behind it all. Why Nora didn't pick up on the obvious really frustrated me. Personally, if it was me, and I was getting the vibes, I would have questioned him more. Yes, he pretty much disappeared on her, but he reappeared plenty of other times that she could have tried to get some answers from him. I wasn't a fan on how Jason was introduced. He was pretty much just left to his own vices for a bit and got through everything way more than he should have. Again, a red flag was waving frantically when I was reading this part and Nora had picked up on some unusual things during this time. Something was up and I wanted more info. I also wanted more depth from that character. He just seemed to be, with not enough characterization to make me more vested in him as a whole. "He's a part of this. I don't know how exactly, but it's all connected." There are twists and turns throughout this book and it sets up quite nicely for the second book in the series. There are multiple layers to this story that you will pick up pretty quickly and little things will jump out at you as you read, making you go hmm. This is a great time to use the highlighter feature of your ereader. I did have some issues while reading. The story lagged in some areas and rushed into other parts too quickly. The flow and beat just weren't in sync and this caused some disruption to my ready style. Having said that, again, this story has unique qualities that separate it from so many others out there. Anyone who likes to read paranormal stories and stories of the afterlife, will enjoy this book. I can honestly say that I wasn't sure what to expect when I started to read this. 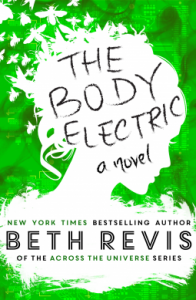 I had read the synopsis so long ago and it seems a bit unlike what I'd read previously from the author, Beth Revis, but I had been so entranced with Across the Universe that I just had a feeling that I wasn't going to be disappointed. Guess what? I wasn't! This is one of the most original stories that I've read in a long time that centers on artificial intelligence, a still young government infrastructure and a war that isn't really over. Ms. Revis knows how to create strong characters, even those that are intricately weak, and with doing so, I found myself captivated with Ella Shepherd and the dynamics of her family and the loss she was dealing with and the loss she knew she would be soon facing. The construction of the story is well thought out and progresses without missing a beat, even when shifting from one scenario to another and back again. The world created is done with such a descriptive way that is not boring, nor cumbersome but quickly is imagined by the reader. Jack...someone who will not give up even when he finds out that things are not the same as they were. Ella finds herself in the middle of something that she's not so sure for awhile which side is the right side. She discovers things that would have the average person on their knees, begging for mercy. She finds her way through all the chaos and turmoil with the guidance of a forgotten friend. She sees things that can never be unseen and in the end, it just makes her stronger and more determined than ever. This is a great read for anyone who likes a good science fiction story, without the need to seriously stretch your imagination with what's being described. This is a story where the science fiction parts have been touched on in some popular movies and literary pieces but are strengthened with the knowledge that some of it is not so far fetched. A Stephen Hawking quote comes to mind as I think about The Body Electric, "Intelligence is the ability to adapt to change." Ella finds herself adapting to a lot of changes throughout this novel.